The author of "Across the Wire" offers brilliant investigative reporting of what went wrong when, in May 2001, a group of 26 men attempted to cross the Mexican border into the desert of southern Arizona. Only 12 men came back out. "Superb . . . Nothing less than a saga on the scale of the Exodus and an ordeal as heartbreaking as the Passion . . . The book comes vividly alive with a richness of language and a mastery of narrative detail that only the most gifted of writers are able to achieve. 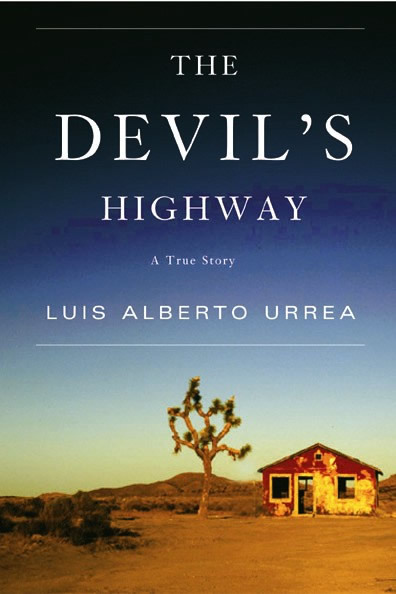 The Devils Highway is a path that cuts through the desert wilderness on the border between Arizona and Mexico, a hellish track over which men, women and children hopeful at first but ultimately reduced to desperation make their way in search of a paying job, no matter how humble. As we discover in Luis Alberto Urreas superb but also harrowing new book, it is a trek that costs them their last pesos and, sometimes, their lives. Urreais an award-winning novelist, poet, memoirist and essayist who brings the considerable powers of a verse maker and a storyteller to what is essentially a courageous work of investigative journalism. Urrea ventured into the world of pollos and polleros, and his book rings with the authenticity and authority of an eyewitness. At the same time, he writes with empathy and insight about the migrants and the agents he accompanied into the wilderness. Above all, the tale he tells in The Devils Highway comes vividly alive with a richness of language and a mastery of narrative detail that only the most gifted or writers are able to achieve.